We are starting a “Future City Friday” regular post to discuss the various maps generated by the Detroit Future City report. 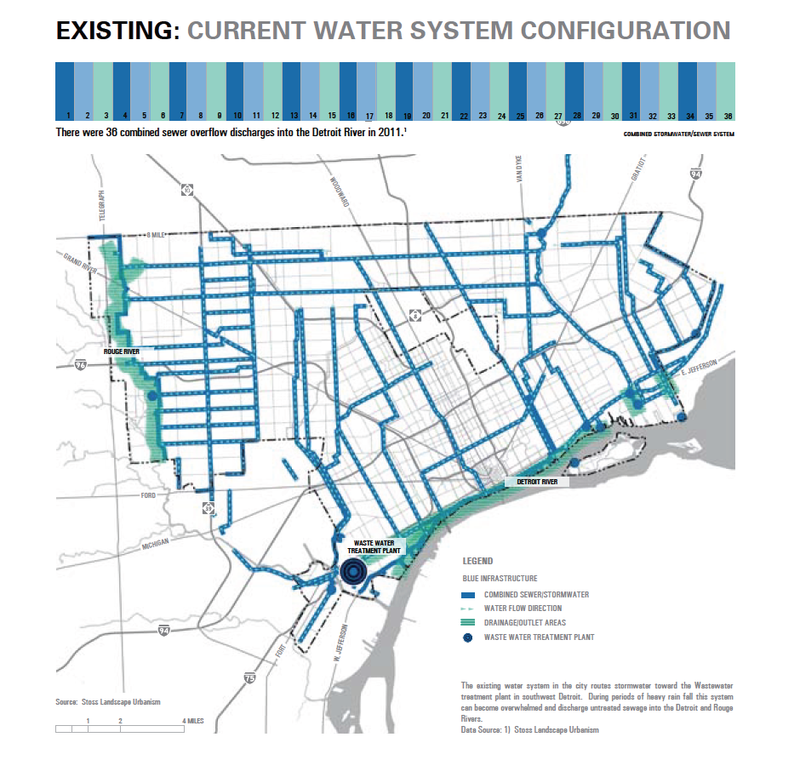 Detroit’s water system is an interesting beast, particularly in that Detroit’s system supplies water for most of the Metro region. The report highlights that there were 38 sewage discharges into the Detroit River in 2011. Pingback: A Crumbling City: How Detroit’s Failing Infrastructure is Contributing to the Shut Offs | "Water is a Right"